A host of stars – including famous faces from The Hobbit and Desperate Housewives – will be at a very special charity event in London next month. The Leuka Mini Masters, hosted by Dougray Scott, is a unique mixture of mini music festival, summer garden party and celebrity golf tournament, and this year takes place on Friday July 15th at Dukes Meadows Golf & Tennis in Chiswick, London. “The Leuka Mini Masters is unlike anything else,” says the ‘Mission Impossible’ and ‘Desperate Housewives’ star. Described by the celebrities who participate as “The best day of the year” (The Hobbit star James Nesbitt), “A very special event” (Philip Glenister) and “Simply immense” (Tim Lovejoy), the Leuka Mini Masters attracts stars of stage, screen and sport. On Friday July 15th, six bands will play live on the Jagermeister festival stage, giving the event a summery acoustic vibe. Goldheart Assembly headline, supported by James Walsh of Starsailor, Glastonbury Festival New Talent Winners Treetop Flyers, Lizzy Pattinson, Josh Weller and The Ray Edwards Band. As well as enjoying the bands, spectators will be able to watch the celebrities playing golf, with a big screen beaming action from all parts of the perfectly manicured Dukes Meadows par-3 course. 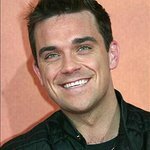 This year’s celebrity team captains include James Nesbitt, Gabby Logan, Tim Lovejoy, Jamie Theakston, Gianluca Vialli, as well as British Olympians and stars of the England ruby team. The Leuka Mini Masters cheekily bills itself as ’Golf’s unofficial fifth major" and as ever, the picturesque nine-hole course will be turned into a golfing fun park for the day. With bars serving cocktails and gourmet food, the battle for the Gold Jacket (presented to the winning celebrity) and The Silver Pitching Wedge (presented to the winning team) is guaranteed to be an enjoyable one. The event raises funds for Leuka, a pioneering leukaemia charity based at Hammersmith Hopsital. 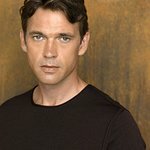 Dougray Scott has been a patron of Leuka since 2002. Sponsors of the 2011 Leuka Mini Masters include Omega, Jagermeister Music, Spotify, Asahi, Ian Poulter and IJP Design, Thomas Lyte, TaylorMade, The May Fair Hotel, Jaguar, Lykia World and Thom Sweeney. Past events have seen stars such as Hugh Grant, Jodie Kidd and Rob Brydon take part.